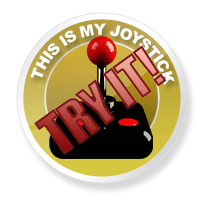 Review: Pro Evolution Soccer 2011 Review - This Is My Joystick! 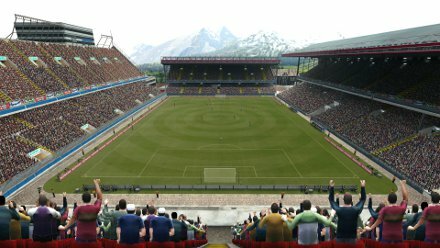 Pro Evolution Soccer and its predecessor, International Superstar Soccer, have been one of Konami’s biggest selling franchises for a generation. For years it was regarded as the flag bearer of console football but over the past few years it has seen EA Sports FIFA not just catch up, but overtake and disappear into the distance. Konami have been talking of taking back their crown for the past couple of releases with no real substance but this year promised to be different. Heck, even I stated on my demo impressions that the potential was there for a title challenge. I’ve been interrogating the full release to see if this challenge is genuine or if PES once again fails to deliver. Pro Evolution Soccer always did pride itself on being easy to learn but difficult to master and that is definitely true this year. Movement as always is on the left analogue stick and the face buttons provide your actions dependent on whether you are in possession of the ball or not. Short pass and defensive pressure are on the A button, long pass and slide tackle on B, through pass and Goalkeeper rush is Y while shoot and second man pressure are X. In addition you can sprint with RB and change player with LB on either side of the ball. Additional tactical assignments can also be placed on the face buttons to allow quick changes to your strategy without giving anything away to your opponent which are performed by holding back and pressing the appropriate button. One of this year’s big marketing points has been the “Link Feint” option which allows you to assign up to four different tricks to each direction on the Right analogue stick. You can then dance your way through the opposing defence by holding down the Left bumper and simply tapping the right stick. I was initially concerned that this would make things a little easy but I’m pleased to say it doesn’t pan out that way at all. That is the bare bones of the control system, you can make your player dive but as I have never agreed with the inclusion of that option I’ll leave you to learn it yourself should you wish. You will also notice from the above paragraphs that there are a couple of fairly key actions missing. PES does not have an option to “jostle” for the ball meaning aerial challenges are won or lost almost by chance. Positioning and timing play a minor part but having spent the past couple of years playing the other big football game this is a big miss. As if that wasn’t bad enough there is also no option to send a third man on a forward run. I am sorry to say that this one simple option would have elevated PES 2011 immeasurably, because no matter how attacking you set your team up, players simply refuse to run ahead of the ball on their own. I cannot tell you how many times I have almost put the control pad through my TV as a good move has broken down because my player has simply stopped running at the worst possible moment. There is also a pretty comprehensive edit mode that allows you to alter or create everything from Teams, Kits and Badges to Players and Competitions right the way through to the Stadiums. The editor has an incredible level of depth so you have total freedom in what you want to change and how much. As ever with a sports title there are numerous offline modes to get stuck into. The obligatory Exhibition matches are joined by a selection of leagues and cups both domestic and international. The big licences provide the European Champions League and its South American equivalent the Copa Santander Libertadores all of which can be played locally with friends and then there are the two career modes. Become a Legend allows you to create a young YTS graduate and set off on your own professional career. Unlike in a certain other game this mode lasts an entire career rather than just a few seasons. 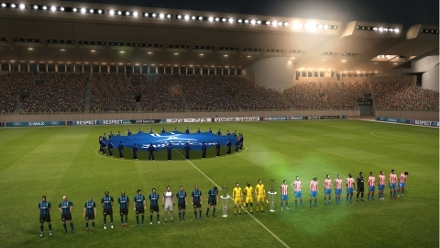 BAL is definitely one of PES 2011’s big draws, at the start you will receive a selection of contract offers and will need to pick the one you feel is best for your young player’s early development. Your development is based on what your Coach sets out for you plus what you decide to develop yourself. Your choices are made by assigning Focus Points to one of the key areas of Shoot, Pass, Dribble, Defence, Speed, Power and Stamina. You can also choose a skill card to develop an additional special attribute over the course of a season. You will also gain or lose development on your first team performances. Pre-game you will find yourself in the dressing room alongside your team mates as the coach gives out the instruction, a lovely touch despite the fact these instructions don’t change too much game to game. The default camera is placed behind your own goal and has you playing up the screen, although it does take a little getting used to it certainly does offer the best overall view of the action while focusing on your own player. As a rookie you wont necessarily start every game and the other big thing is you wont always finish the game either. Your coach will actually sub you off if you’re not performing or are just tired. I personally believe this is a good addition as it adds to the realism and to the sense of achievement when you get a run in the first team. At the end of the game you go back to the dressing room for a run down on your performance and the odd word of advice from the senior players, again a lovely touch. The other main single player mode is the Master League, you pick your team then choose to use the teams squad or a default set of players and then develop your chosen club earning money through playing and winning games or selling players. The default players are pretty average to say the least and so choosing them adds to the challenge. Your club choice also has an effect on the challenge ahead, if you pick a team currently assigned to one of the in-game leagues you will start in that league. If the club has a European qualification you will also keep that and your bank balance is dependent on the club you choose. So for example pick Manchester United and even with the default squad you have a head start as you will play in the English league and the Champions League and start the game with around £100 million in the bank. Blackpool on the other hand, have no European competition and only £20 million to spend. There is a second division in Master League so you can get relegated or promoted and should you pick a team not assigned to one of the games leagues you will be able to start in the lower division should you wish. You can add players to your club via the transfer market with permanent or loan signings or look to your youth team and try to discover the next Lionel Messi. As with the Become a Legend mode players will also develop through games played and as the manager you can assign training to the squad as a whole or to individuals, again to help them along with their development. The Master League is a massive game mode that in my opinion is what a football game is all about. Pick a club, start at the bottom and grow over multiple seasons until you dominate the world. 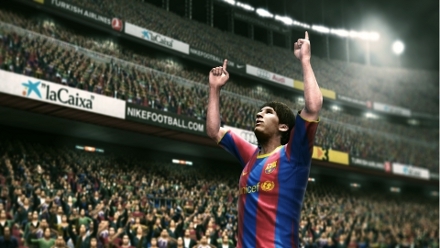 Graphically PES 2011 is very good. The Menu’s are well polished and easy to navigate and the player models of the big name players at least are fairly lifelike and easily recognisable. In the grounds the fans interact with the match visibly leaving their seats at moments of key attacking menace and jumping up and down when you’re playing well. Player animations are also generally pretty good although I haven’t been overly impressed with the goal celebrations and at times when dribbling the ball appears to be glued to the boot of the player, much like a sketch I remember from ‘Harry Enfield and Chums’ when I was at school. Menu music has come a long way since the PES of old. Tinny Japanese pop has been replaced with real chart music and you can edit the playlist in the options menu to remove the tracks you don’t like, unfortunately the selection is pretty limited with only 24 tracks in total to choose from. Champions League matches begin with that hair-raising “The Champions de de de de de der!” theme which adds an additional polish to the proceedings. In-game commentary comes courtesy of the ITV duo Jon Champion and Jim Beglin and follows the action nicely. There is a touch of repetition but it’s no worse than any other sports game on the market and the crowd sing, chant and cheer at the right moments. Unfortunately though the songs from the crowd are very repetitive, initially I was grinning when playing as my favourite team Manchester United as the crowd started to sing “You are my Solskjaer” however after a couple of matches of little else it had lost its appeal. The Champions! de de de de de derrr! Multiplayer offers the usual ranked and unranked head-to-head matches where you control a team of your choice against another human opponent. You also have the Legends mode which allows you to play with a friend against either an entire CPU team or a team made up of CPU and other human opponents. You have the option to play with real players or your created player from the offline BAL mode. PES 2011 offers a maximum of eight players online (4 v 4), although I have not managed to get such a match set up. 2 v 2 works pretty well and this mode is a lot of fun offering a nice change of pace to the usual head-to-head games but obviously it falls well short of the 11 v 11 option from the other side. The other online mode is the Master League Online, which is a real treat. As our esteemed editor Andy gave us the lowdown on how this mode works in his Beta Impressions, so I’m not going to go into massive detail here. 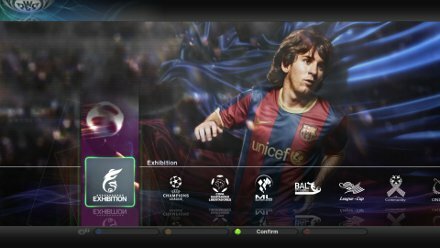 What I will say though is that MLO is the reason to go out and get a copy of PES 2011, quite frankly it will change the way you look at playing a sports game online. Critics will say that FIFA’s Ultimate Team add-on does much the same but not only is this free and available at release but more importantly than that the set-up of your club is so much more than in EA’s alternative. I do need to mention at this juncture that PES 2011 does still suffer from the occasional online lag, however, as big a disappointment as this is, it is only a minor issue that appears sporadically and at no point has it ruined the experience or had a massive effect on the action. Overall I have to say that PES 2011 is a very good game that I am continuing to enjoy. Each of the main game modes are beautifully structured and have a depth to them that, in my opinion, is second to none. The game looks and sounds as good as any other sports title on the market and online, despite the odd touch of lag it is thoroughly enjoyable (especially Master League Online). However, to win the big prizes you have to do the simple things well and unfortunately the fundamentals let the game down. The inability to jostle is frustrating and the lack of a third man run option is simply inexcusable. Worse than this though is the lack of any sort of advantage played in a match, the smallest indiscretions cause a stop to the play regardless of the situation, often ruining a good chance of a counter-attack. Offsides in particular can literally ruin a game; when you play the ball down the right-wing to a player clearly onside to be penalised for a man on the opposite side of the pitch that you’ve had no control over at any point of the move you genuinely want to launch the disk out the window. Another step back in the right direction at least.